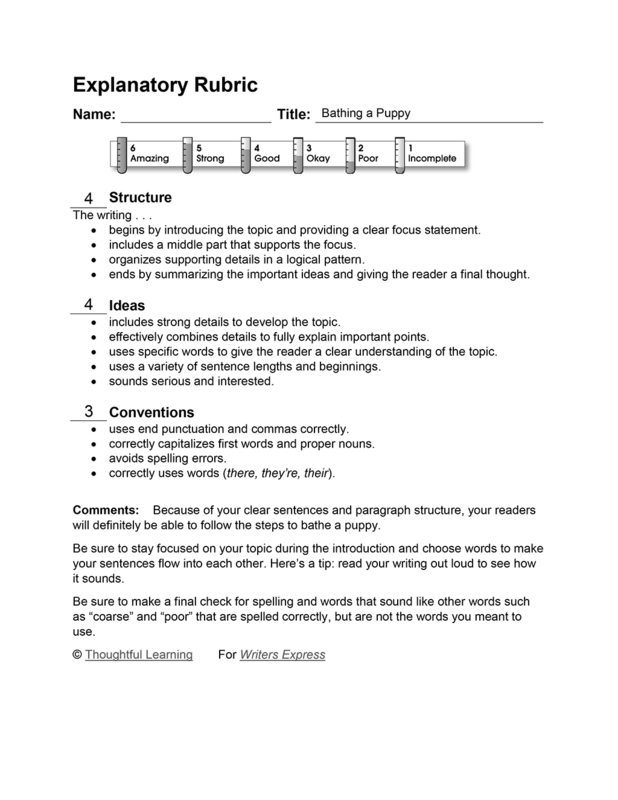 In this process essay, a student explains how to properly wash a dirty puppy. Have you ever pondered how to bathe a puppy? Well I have, because our family has a puppy. Eventually she will grow and we will have to bathe her with the hose outside, but while she’s little.....Why not bathe her in the bathtub? It’s the perfect place for a little criter like a puppy. If you want to find out how to bathe your puppy read on. So to start off with you’ll need a few materials such as shampoo. You can get certain kind of dog shampoo. You’ll need a large old cup and an old towel. Of coarse, you will need about a 3 foot long bathtub. You’ll also need a beaded dog brush and a powerful hair dryer. Next, you’ll need to wash your puppy. Get your large old cup, fill it to the rim, and poor it on the puppy until she is completly wet. Get your dog shampoo and use 2 caps on the body, 1 cap on the head, and 1 cap on each set of legs. Rub it in real good. You’ll need to get the old cup, fill it to the rim of the cup again, then rinse off the puppy till he or she is completly clean. Last of all, you need to dry and groom your puppy. Use the old towel and dry the water off. You need to get the hair dryer and the beaded dog brush next. While blow drying the puppy’s fur, comb the fur like you would your own hair. Well, now you know how to bathe your puppy, but tune in again in three months and learn how to bathe your giant dog! Bathing a Puppy by Thoughtful Learning is licensed under a Creative Commons Attribution-NonCommercial-ShareAlike 4.0 International License. Based on a work at k12.thoughtfullearning.com/assessmentmodels/bathing-puppy.